Get where you want to go. Our local lenders will help you reach your destination faster. And do more when you arrive. For your convenience, we have special financing arrangements with many Central Indiana automobile dealerships. Just ask the dealership if they have Ball State Federal Credit Union financing available, or you may contact us for pre-approval. Guaranteed Asset Protection (GAP) is a voluntary program that we offer for your new or used vehicle loan. 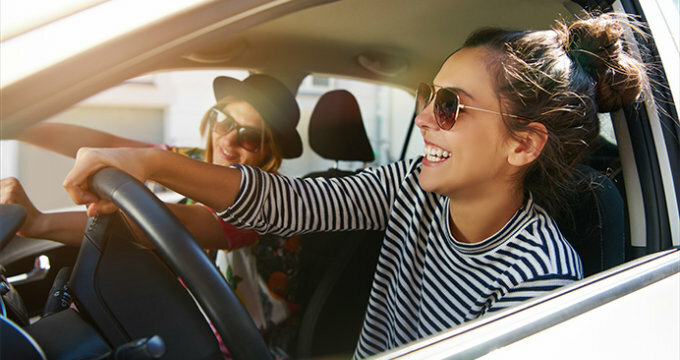 This financial protection covers the difference in the balance on a car and its declared value, as determined by your primary insurance carrier, in the event that it is damaged beyond repair or stolen and never recovered. GAP is a supplemental coverage and does not replace your standard Comprehensive, Collision and Liability coverages — only enhances them. Depending on where you live, the established market value could be less than the actual balance you owe on your car. With GAP, if your car is a loss, the deficiency will be covered. That includes the difference between the market value of the car and the loan balance, less delinquent payments late charges, refundable warranties, and other insurance related charges. It will also cover the insurance deductible up to $1,000 if a deficiency exists. When you are applying for your next auto loan, ask about GAP. If you have any questions, please call your Ball State Federal Credit Union office.